This curried pilaf was inspired by a "Curry de Colombo" chicken stew, served by a French lady with Caribbean roots. Combining her curry recipe and an LA times recipe for the powder, I successfully reduplicated the stew. Later, I then used my leftover homemade powder to make a rice dish, a pilaf which happened to be extraordinarily good. 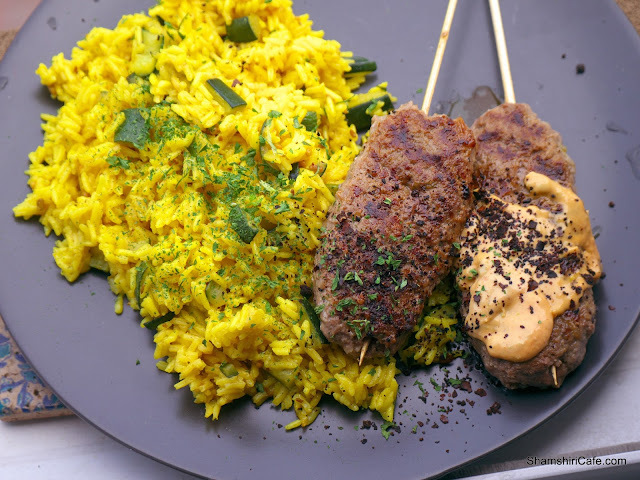 This very flavorful pilaf can be served with meat dishes, vegetables, or yogurt (for a nutritious vegetarian option). 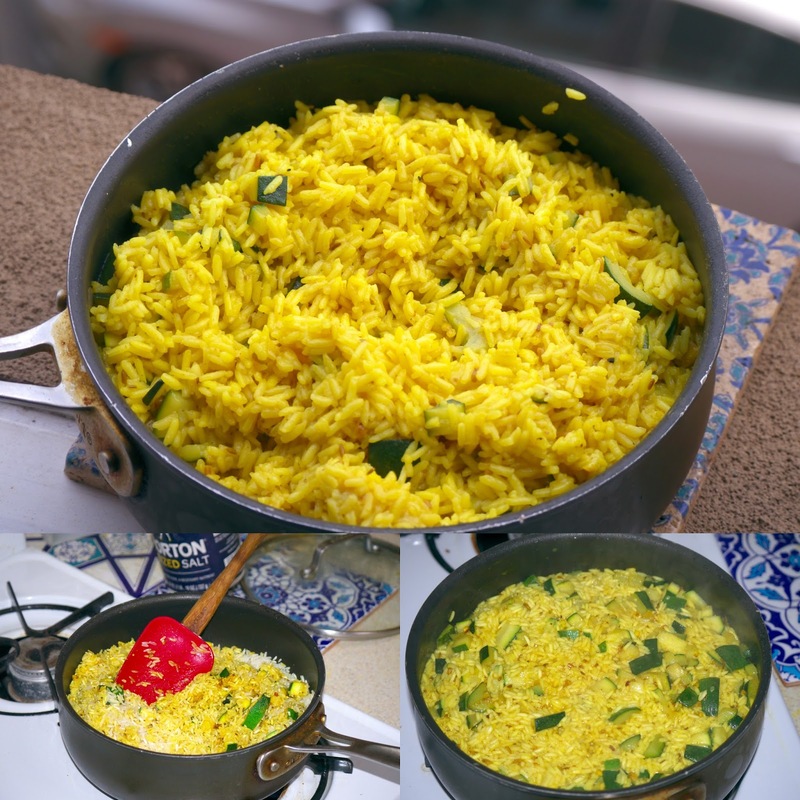 Serving pilaf with pilaf is a common practice in the Persian cuisine. Sauté the zucchini and pepper in the oil for two minutes or until translucent. Add the coconut and cook until toasted. Add the curry powder and salt and toast in the oil for thirty seconds. Add the rice and toast in the oil for yet another thirty seconds. Add the stock [or water], bring to a boil, stir to mix. Reduce the heat to low, cover with the lid and let steam for twenty to thirty minutes. Do not uncover the pot during the steaming. The generated steam is crucial for the final texture of rice.